Firefox-maker Mozilla has slammed Apple, telling TechRadar that the walled-garden approach is both stopping people from being creative and bringing a 'scary' culture of censorship. In an extensive interview, former president of Mozilla Europe and current principal evangelist Tristan Nitot and Chris Heilmann the principal evangelist at Mozilla for HTML5 and open web did not pull their punches when it came to the hugely successful Apple. On top of criticising the company for imposing its own moral judgement on apps and content, the duo also questioned whether Apple devices were stopping people from contributing to their digital worlds. "It's unfair that people are saying that native apps and native experiences are wonderful," Heilmann told TechRadar. "When I started with the web I realised the web was a medium where everyone can participate. "No matter how ugly your website is, you can make something you became a web maker. Now with devices like iPad we all get turned into consumers. "We came up with the web so we don't have to install and uninstall applications for every single task and now we are going back to it because it's shiny and [perceived as] easier." "We want people to learn from what they are using and seeing," he said. "So if you want to participate you can look at the source code and improve on it, learn from mistakes and then publish something on the web for free. "Now if you want to do the same on the iPad it's much more complicated." "I am a web citizen and when I see that somebody in California can decide what I am allowed to install on a device that I paid for with my own money, that he will impose his own values...it seems very scary to me." While acknowledging that people ultimately can choose to go to a different operating system Nitot believes that it is scary that an unelected body can impose its moral judgements on applications and the content they contain. "That goes not only for applications but for content. That gives publishers tough choices, tough decisions. "On the one side you want the revenue that goes with it because it's very important – it's not easy to survive at the moment - but on the other hand you don't want to be developing for Android, plus iOS, plus any other operating system. "Then there is the censorship that goes with some stores of course. "I am a web citizen and when I see that somebody in California can decide what I am allowed to install on a device that I paid for with my own money, that he will impose his own values that are not from my culture and are different from my context it seems very scary to me." Nitot believes Apple's approach has worrying undertones, highlighting a few examples including the well-known German publication Bild's plight. "Bild has this habit of having half-dressed ladies on the cover – you can discuss if it's good or bad or whatever but they had to start negotiating with Apple because it was not acceptable with the folks in California. "I'm not saying that it's good to have half naked ladies on the cover, but where do you draw the line? "But I mean this is about politics and democracy. If you cannot have a debate or freedom of speech through these devices that put an interface between us and the rest of the world then what kind of society are we building? "If you cannot have a debate or freedom of speech through these devices that put an interface between us and the rest of the world then what kind of society are we building?" "This is why we are so passionate about the web – you can do stuff without having to ask permission from anyone. "Maybe it is going to be more difficult, but it's life and it goes from content to applications." 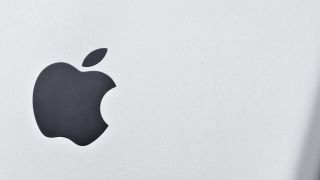 TechRadar put it to Nitot that Apple's approach had been successful because of the failings of browsers to simplify simple processes, something that apps addressed by adding order to the chaos of the internet. "I don't think it is a natural progression," he replied. "Maybe the internet or the web is a bit of an accident. "It is a door that opened and I don't want to see it closed. We have this tool and we should make sure that we save it because it's so important. "Many innovations are done in closed proprietary systems and the nature of life or at least the industry is to have a closed prototype and then an open way of doing the same. "Remember we had AOL and its closed offering in the early days of the web…"
Clearly Mozilla has a vested interest in pushing its own products and open ideals, despite being a not for profit organisation, but such a public condemnation of Apple shows the level of concern from the company. With its Boot to Gecko aiming to bring a browser based smartphone-like user interface, the company believes that it can return devices back down a more open road. Of course, Apple's more restricted approach has proven popular for a reason - bringing order to the chaos of the internet, but however well received its products are, the dissonance from fans of open ecosystems are unlikely to ever go away.